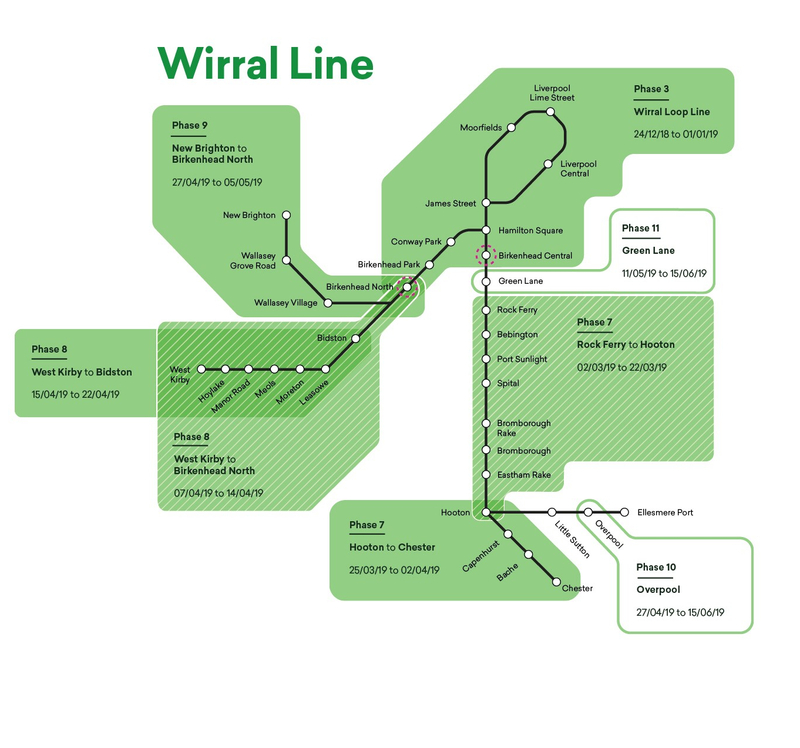 There will be a programme of platform upgrades designed to prepare the Merseyrail network for the arrival of the new, state of the art trains in 2020 that will transform how people travel. The phased programme of upgrades will take place between 20 October 2018 and 16 June 2019. 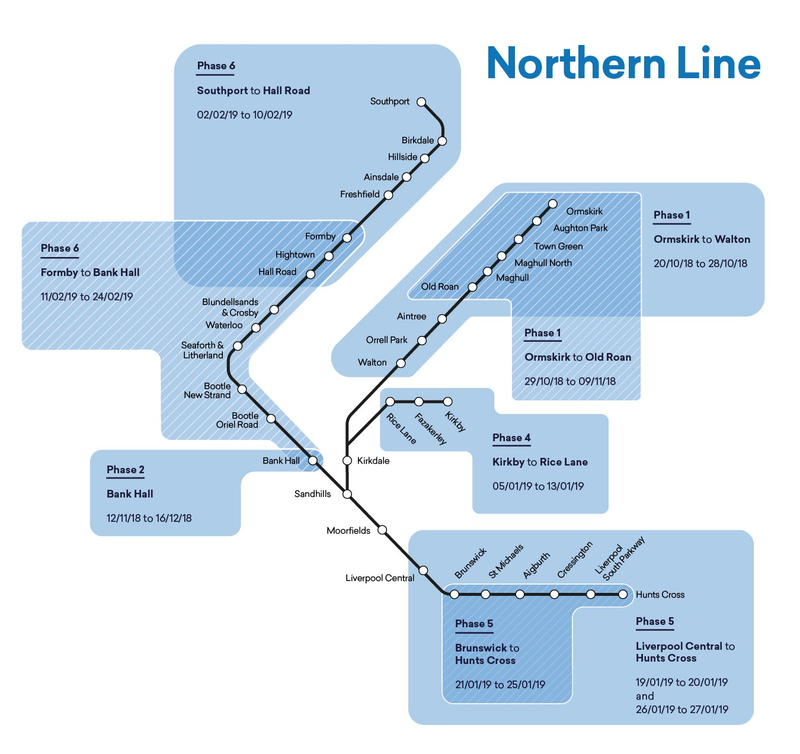 These vital works, delivered by Network Rail, will involve upgrading existing platforms and realigning track to ensure that they are compatible with the new trains and their ground breaking, sliding step technology that will provide unassisted access for all. This means that wheelchair users can board the train without a ramp and passengers with prams and cycles can get on and off the train with ease. In addition, they have also worked closely with the Liverpool City Region district councils and key city region partners to avoid as far as possible other engineering works and major events to ensure that the city region remains open for business. 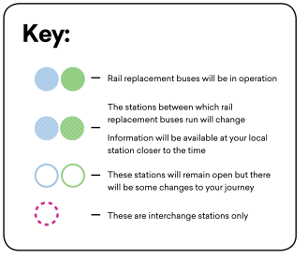 Check before you travel – Closures are taking place at different locations at different times on the network so it’s important to keep checking what’s happening and when. Leave more time for your journey – Some timetables may change. Consider your options – other public transport options including Mersey Ferries and commercial buses may be a good alternative.